Gov. Paul LePage delivers the State of the State address to the Legislature at the State House in Augusta, Feb. 13, 2018. Maine Republican Gov. Paul LePage says he plans to become a resident of Florida after his final term expires at the end of the year. 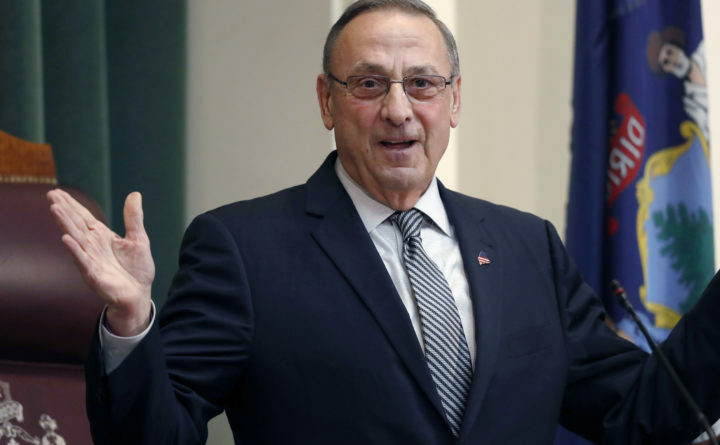 LePage, who is term-limited, told reporters during a press conference for Republican U.S. Senate candidate Eric Brakey that he plans to claim residence in the Sunshine State. LePage was asked what he’ll do if Democratic gubernatorial candidate Janet Mills wins the race to succeed him. Shawn Moody is the Republican attempting to succeed LePage. The governor, who owns a home in Florida, also told reporters that he’s hoping to land a teaching job at one of Florida’s colleges, but he would not identify which one. He also said he would claim residency in Florida for tax purposes. Florida has no state income tax. While LePage has fought to reduce Maine’s income tax, he never met his personal goal of eliminating it.